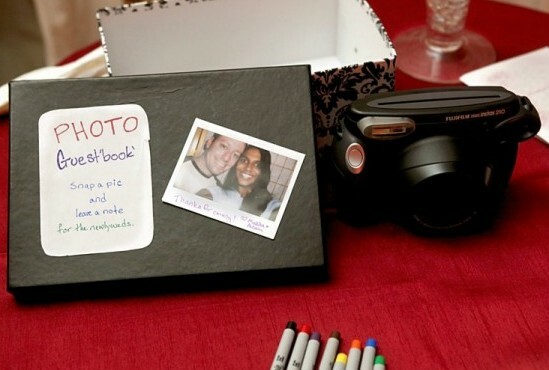 Have guests leave a note on a photo that they took using a Polaroid camera! See more photos from this wedding on the source. See a tutorial for making a scrapbook for this idea. See this idea with the photos hung in a large frame. See this idea with the photos hung on a clothesline with notes written on doilies.